A: Absolutely! Every room has a dedicated clearly marked emergency exit, with no locking mechanism. You are NEVER locked in, and always maintain access to the emergency exit. Our facility and games have been inspected and approved by the Fire Marshal with the city of Nashua. Each of our games have a dedicated employee, who will be closely monitor your progress throughout your time with us, ensuring a safe experience for all. A: Click on the Book icon on our website or Facebook page, or call 603-809-4018.
piece together puzzles and work together as a team to escape, or complete an objective within the time limit. A: $29 per individual ticket for a 60 minute adventure, or $35 per individul ticket for a 90 minute adventure during our regularly scheduled hours. All adventures are private games. We offer packages for private events, group outings and birthday parties. Q: What is the difference between the 60 and 90 minute adventures? A: The 90 minute version is the 60 minute game plus an additional 30 minutes of games & puzzles. Q: What does a Private Game mean? A: All of our games are private games, meaning once the minimum ticket quantity is purchased (2 or 4 depending on the game), all other tickets are removed publicly from the website. This means that no strangers will have the opportunity to purchase tickets to add in with your group. If others from your group would like to add on to the original booking, they will need to contact us to book over the phone or through a private emailed link. Q: When do we need to arrive? How long will we be locked up? A: Please arrive 15 minutes before your scheduled start time. You are given 60 or 90 minutes to complete the room, but may escape in less time. All games begin promptly at their scheduled time. Participants who arrive late will not be allowed to play. Q: What is Key To Escape's schedule? A: Our rooms are not meant to be scary. Instead of thinking like a haunted house, think more like a scavenger hunt with puzzles and locks. A: We have ample free parking check out our map . A: We cater to nearly everyone! Our rooms are ages 16 and up, without parental supervision. For children under 16 we require a parent to be present and they must book the entire room. The Cuckoo's Nest is on our first floor, and is our only wheel chair accessible adventure. A: We are at 3 Bud Way, Unit 21, conveniently located between Exit 6 and Exit 7W on Rte 3 / Everett Turnpike. Use our Find Us page for directions from where you are located. Q: Do we have to book the entire room? A: You are only required to purchase the number of tickets equal to the number of people in your party. All our games our private, so you don’t have to worry about strangers joining into your party! The Incident, The Cuckoo's Nest and The House in the Woods have a minimum of 4 people, maximum of 8 people. The Western Whistle has a minimum of 2 people and maximum 6 people. Q: What are my options if I have children under age 16? A: The House in the Woods is great for kids ages 10+. Q: Are we smart enough? A: Everything you need to escape is provided in the room, however if you get stuck our Game Master can provide clues and hints to help along the way. 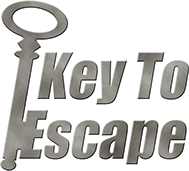 The real question is, can you effectively work together with your team to piece together the puzzles and find the Key to Escape? If you did not find your answer, please fill out our question form on the contact page.